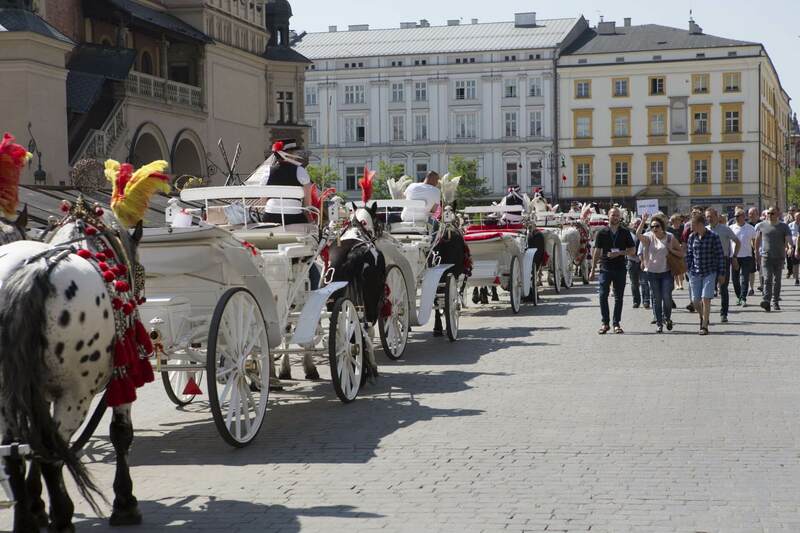 Krakow is rightly considered to be a real jewel in this country’s crown. Krakow lies in southern Poland on the banks of the Vistula, queen of Polish rivers, and is one of Poland’s most ancient cities. Krakow is Poland’s former capital and it’s popularity is reflected in growing visitor numbers from around the world. The city is filled with monuments and places to visit. It therefore needs more then just one day to experience all of the emotions it can evoke. Its particular atmosphere have inspired and is still inspiring intellectuals, artists and writers. 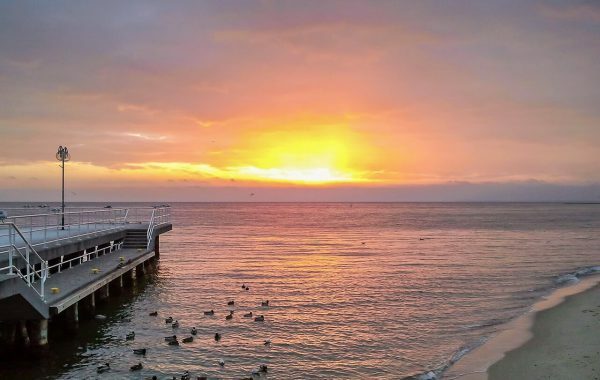 Those who visit this exceptional town fall in love with it and they leave longing to return. The richness of cultural and artistic life contributes to this fascination as much as the genuine character of its old streets and little squares lined with restaurants or coffee shops serving local delicacies, and quaint boutiques selling local merchandise. Many consider Krakow an undisputed architectural gem of Central Europe. This city was influenced by the Italian Renaissance with it’s citadel cities on one hand and Viennese secessionist on the other. The two are combined in an unforgettable blend of styles. With it’s spires, cobbled streets, pavement cafes, candlelit bars, accordionists, ad-hoc art exhibitions and the passing hours being marked by the sound of the bugle; it is a city of magic and legends. Many have fallen under its spell. Copernicus found here his infatuation with the stars, King Casimir the Great fell in love with his Jewish lover Esther and the young Karol Wojtyla said goodbye to his teenage sweetheart to become Pope John Paul II. 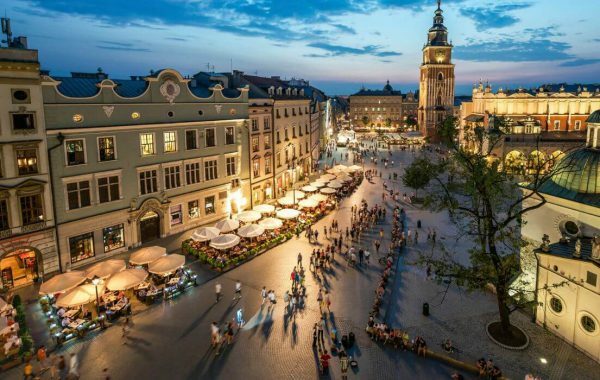 A wide range of different types of accommodation, restaurants and an array of eateries make a visit to Krakow a very straightforward and rewarding affair, befitting any taste or budget. Unsurprisingly so Krakow received the prestigious “The Best European City Trip” award for the third consecutive time in 2016. Rynek Główny- Main Market Square – the biggest mediaeval square in Poland and in the whole world. It has many outdoor cafes and pubs, street music, and flower stands. 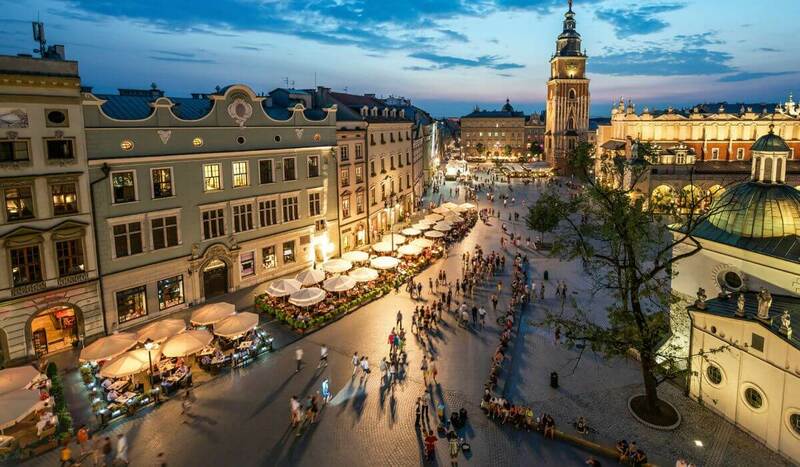 People meet and stay in the Rynek from early morning until late night. In the middle of the Rynek is the Sukiennice – the Cloth Hall – a magnificent Renaissance building which houses numerous souvenir shops with the most beautiful things in town, and on the first floor the Gallery of Polish 19th and 20th century paintings. The most impressive building in the Square is the Mariacki (St. Mary’s) Church. Many legends are attached to this church, which has the world’s largest Gothic altar inside. 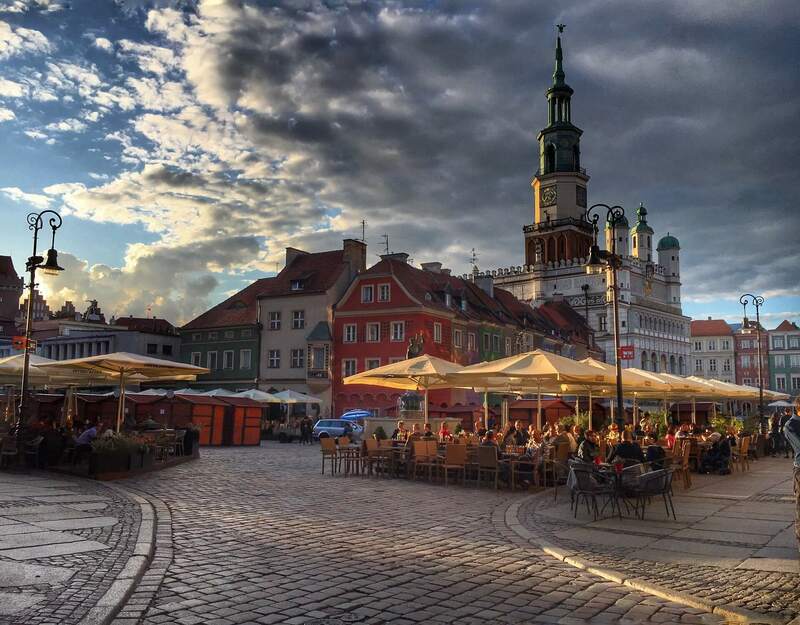 Almost all of the houses surrounding Rynek have an interesting and fascinating history behind them. Wawel – on top of the hill bearing the same name – was the seat of Polish Royalty up to the beginning of 17th century. The Romanesque and Gothic complex was turned into a rich and magnificent Renaissance residence at the beginning of 16th century following plans by Italian masters. Zygmunt III, who moved the capital to Warsaw when inheriting the throne of the biggest country of the world, ended the Golden Age. 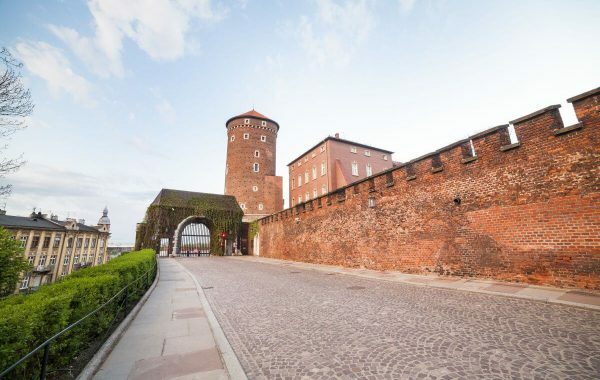 The Wawel complex consists of the Castle, where you can see the Royal Chambers, the Royal Treasury, the Armoury, and an archaeological exhibition, as well as the Cathedral and Cathedral Museum. The masterpiece of Wawel Cathedral is Zygmunt Chapel – the pearl of the Italian Renaissance. Royal Route – starts at the Barbican – one of the entrance gates to the town – and finishes at Wawel Castle. It passes along Floriańska, Rynek and Grodzka Streets. 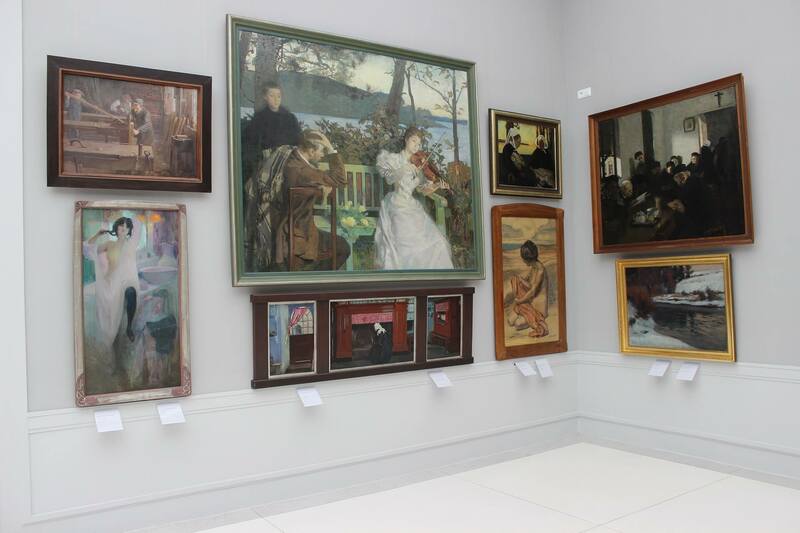 One can visit the oldest Polish museum – the Czartoryski Museum with its collection of fine paintings – Lady with an Ermine by Leonardo da Vinci and Landscape with Merciful Samaritan by Rembrandt, and a rich collection of old china, jewels and old weapons. 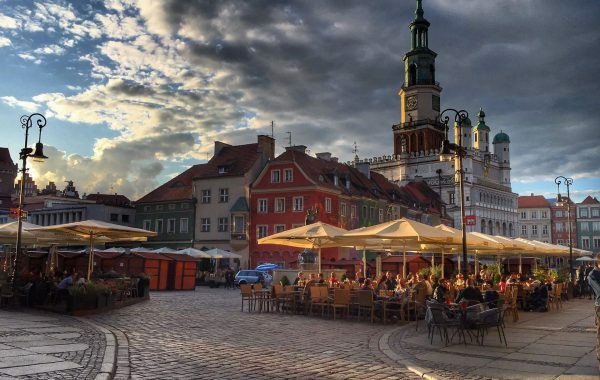 In Floriańska Street, there is a shrine of Art Noveau bohemians – the Jama Michalika cafe, and in Grodzka there are two magnificent churches – the Romanesque St Andrew’s and Baroque St Peter and Paul’s. Kazimierz – established by the king Casimir (Kazimierz) the Great in 1335, for a long time it used to be a separate town; now it is right in the centre of modern Kraków. During its golden age, it was one of the most important centres of the Jewish Diaspora in Central and Eastern Europe. 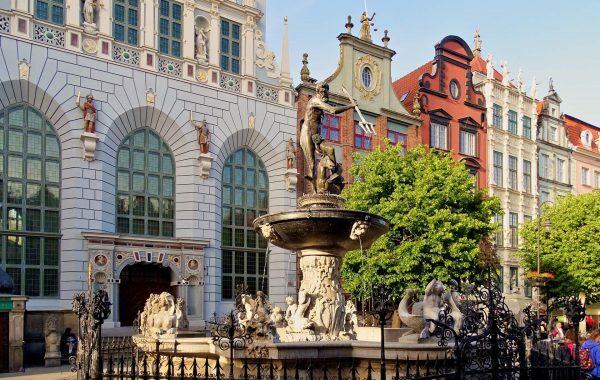 Now one can visit the oldest synagogue in Poland – the Old Synagogue, which houses the Museum of Jewish Culture, Remu’h synagogue and a 16th–century cemetery, as well as the locations selected by Steven Spielberg when shooting Schindler’s List in Kraków. At the turn of June and July, you can take part in the Festival of Jewish Culture, the only event of its kind in Europe. Today a district of Kraków, Podgórze lying on the right bank of the Vistula, was an independent borough with its own market square, coat-of-arms, and town hall from its founding in 1784 to 1915. Recognised as an industrial town, it was inhabited by entrepreneurs and craftspeople, on the other hand it boasted rich nature and wildlife and picturesque scenery. During the second world war, it was witness to the tragedy of the Jews, as 15 000 people were locked up in the ghetto the Nazis set up here. Wieliczka – a town situated close by whose salt mines are considered one of the wonders of the world. 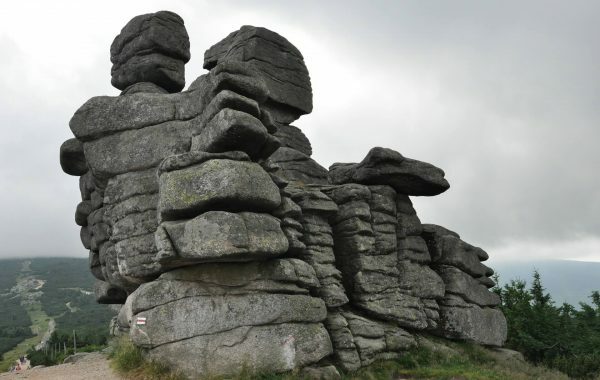 It was entered on the World Cultural Heritage list in 1978 by UNESCO. The tourist route on three levels of the mine covers around half a mile of corridors, 20 chambers carved in salt, all at a depth from 200 to 400 feet. St. Kinga’s Chapel is a breathtaking place – a church where everything is made of salt – crystal chandeliers, altars, sculptures and floor paving carved in the salt layer. Auschwitz-Birkenau – the world’s most famous cemetery and location of Genocide from World War II. 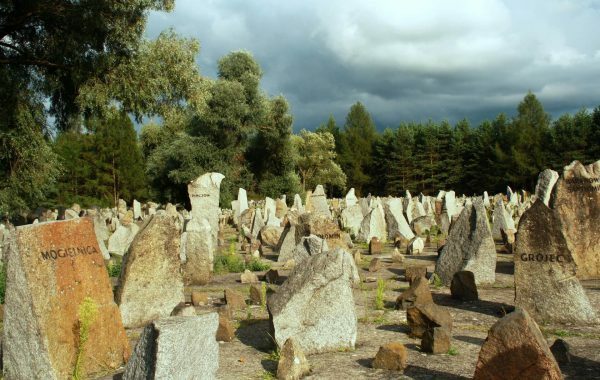 Established by the Nazis in 1940 as a concentration camp for Polish political prisoners, it later become the site of the extermination of 1.5 million Jews, Poles, Gypsies, Russians and others. A visit to the museum starts with a short 15 min. 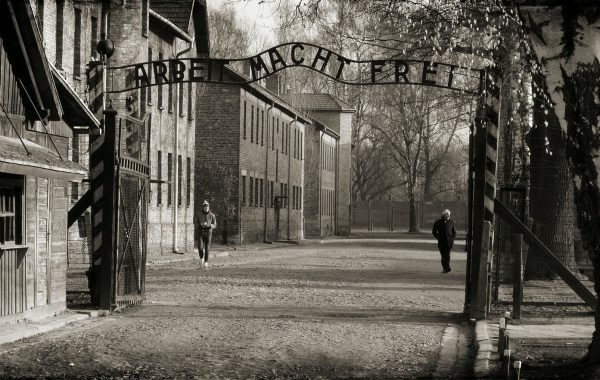 documentary film made by the Soviet army liberating Auschwitz. 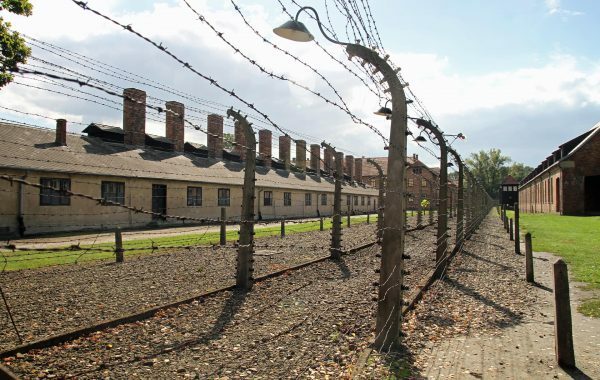 The exhibition consists of prisoners’ blocks, gas chambers and crematorium, which have been preserved since the time of the camp’s operation. Pieskowa Skała – a fortified Renaissance castle, part of the Eagles’ Nests fortification system. It is situated on top of a limestone hill overlooking a picturesque river valley in the middle of the Ojcowski National Park. In the castle, there is an exhibition which is part of the Wawel collection. Wadowice and Kalwaria Zebrzydowska – Wadowice is the birthplace of Pope John Paul II. In the family flat, there is a museum. The house is located next to the church where Karol Wojtyła was christened. 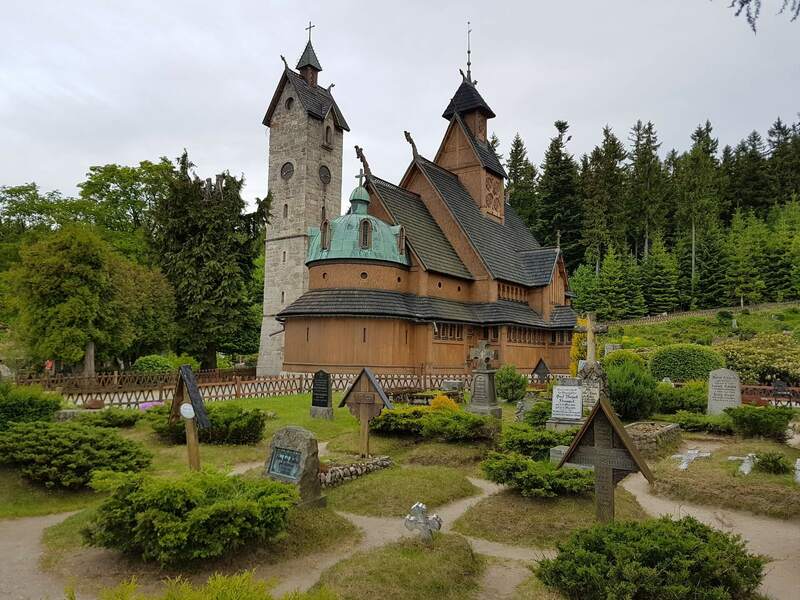 In nearby Kalwaria Zebrzydowska, there is an amazing Bernardine church, monastery and a whole complex of chapels and shrines. During Holy Week, there is a performance of the Passion. Częstochowa – thanks to the Pauline monastery housing the holy icon the Black Madonna. The tradition of making pilgrimage there dates back to 1382, when the monastery was established. Czestochowa is an international phenomenon. 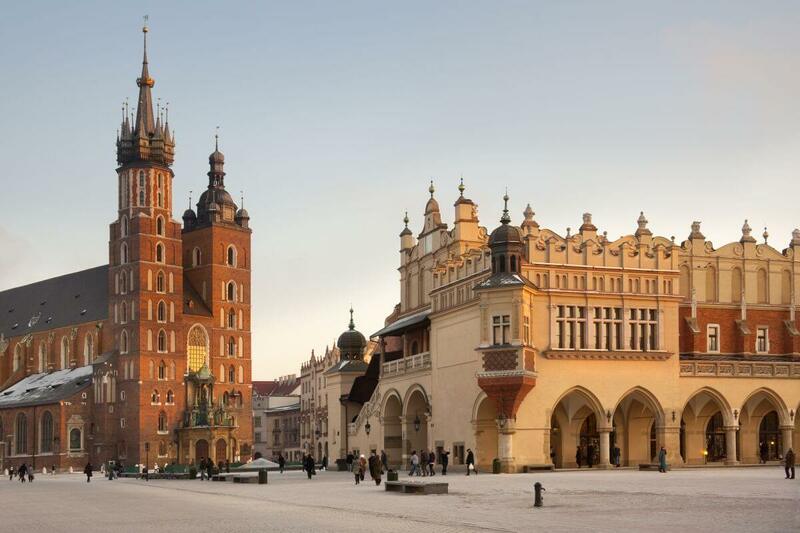 It is worthwhile visiting and seeing for yourself the spiritual heart of Poland. 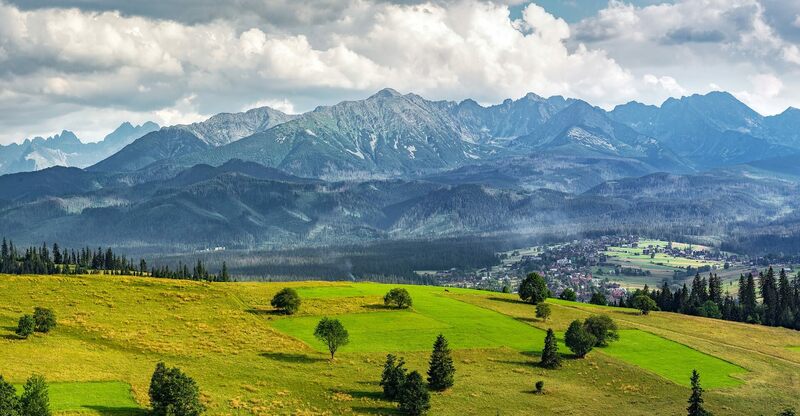 Zakopane – situated in the South of Poland, at the foot of the Tatras. 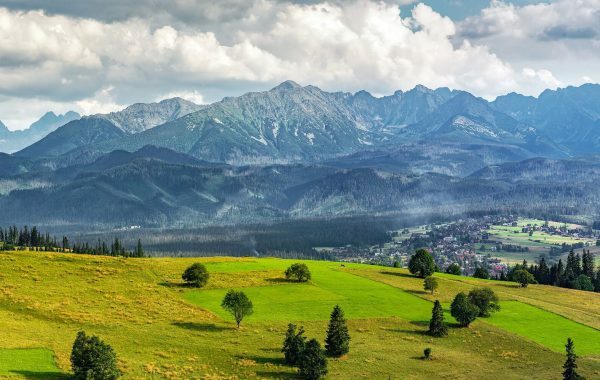 Its main attractions are the mountains and the landscapes protected within the Tatra National Park. The mountains provide many opportunities to walk and hike. This is one of the few areas that still preserves old customs, where people still wear folk costumes, play original folk music and carve wood. The local wooden architecture is extremely attractive. Where to go in particular? Morskie Oko – a beautiful lake surrounded by high mountain peaks; Chochołów – a village where people scrub the outside and inside of their old wooden houses at least twice a year. 35 miles from Zakopane, there is the Pieniny mountain range, the ruins of Czorsztyn castle, and a reservoir in the mountains. One can visit a wooden church from the 15th century with magnificent wall paintings, one of Poland’s best preserved 15th – century castles in Niedzica, and go for rafting along the extremely picturesque Dunajec river gorge (not white water rafting at all, it is, in fact, a rather pleasant and relaxing experience ). 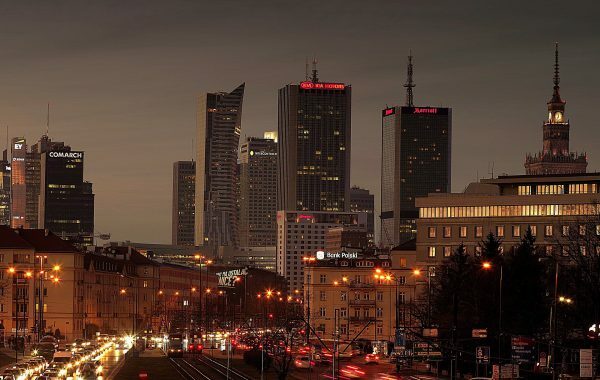 As a modern and a dynamic metropolis Warsaw offers everything that a European capital should. 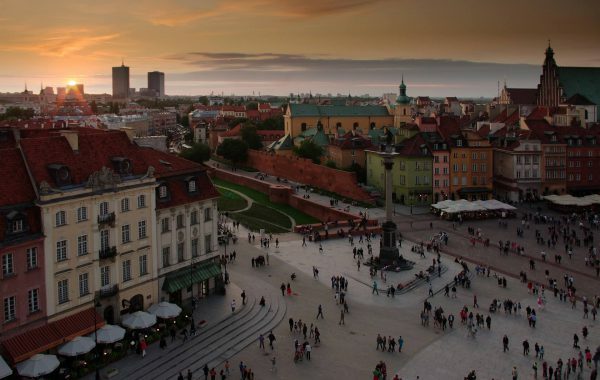 Being at the junction between Western and Eastern Europe, Warsaw is a perfect dialogue-inspiring springboard between different cultures and destinations. 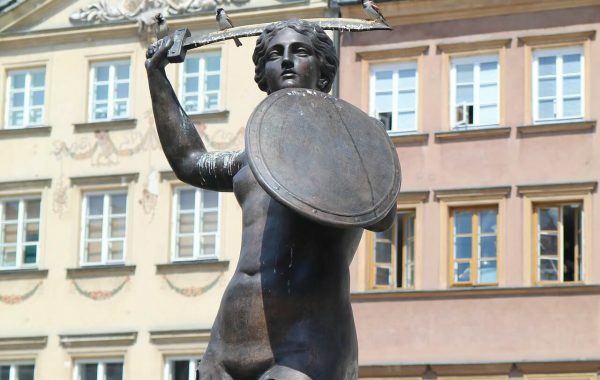 Warsaw’s history, knowledge and experience inspire tremendous creativity. The propensity to use this undercurrent is reflected in the events taking place here. They will exceed expectations of every music enthusiast, art pilgrim or history lover. A monthly calendar consisting of more then 100 cultural happenings attracts international artists and their international audience. 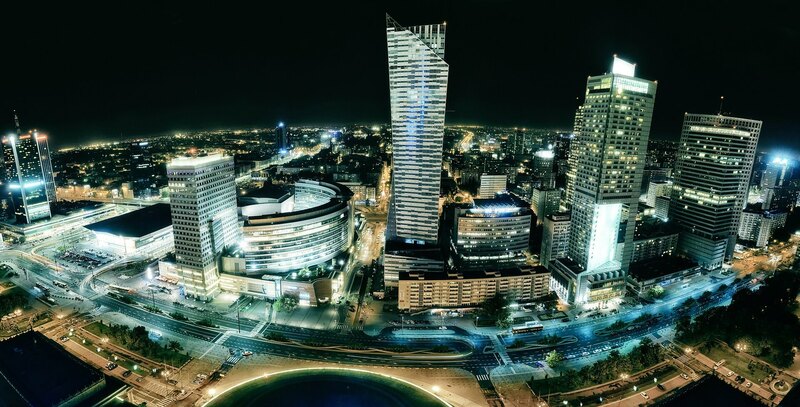 Warsaw would satisfy all tastes thanks to its vibrant cultural life, prolific festivals, art events, museums and modern art exhibitions. The city is inseparably connected with the childhood and adolescence of Fryderyk Chopin. It is here that the most important events named after him take place – The International Chopin Piano Competition or Chopin and His Europe Festival. Daily schedules are filled with concerts dedicated to this great romantic composer such as open-air piano recitals in the Royal Łazienki Park. 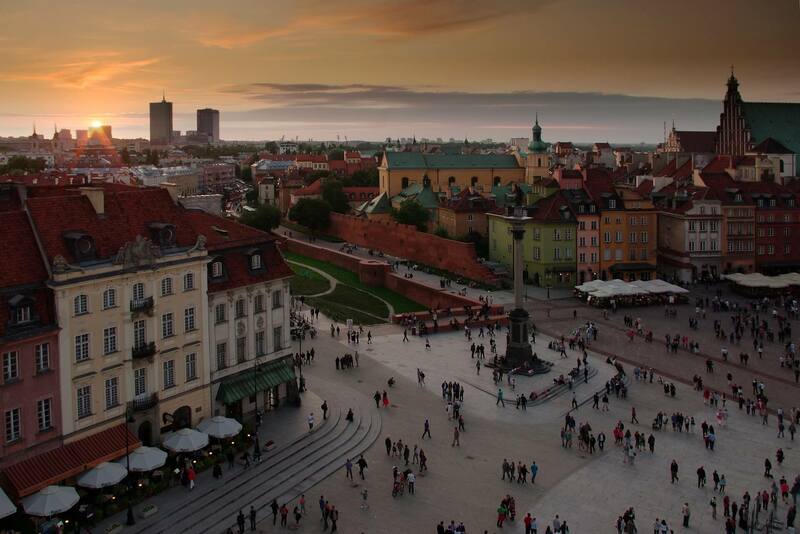 With green areas covering over a quarter of the city you can be guaranteed that spending a weekend in the capital of Poland will be an unforgettable experience. The more poignant and turbulent but fascinating part of the history of the city is presented in the Warsaw Rising Museum. 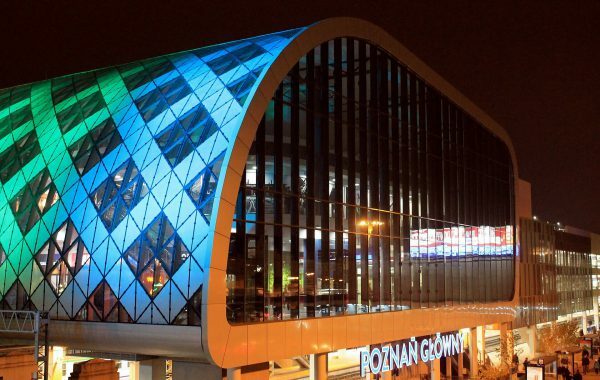 Due to its contemporary design this is one of the most recognisable landmarks of Warsaw. Another avant garde design denotes the Museum of The History of Polish Jews. It renders an insight to the fascinating history of a people who for centuries had constituted an important part of the Polish identity. Royal Castle – the decision to build the castle was made when Zygmunt III Waza transferred the capital from Kraków to Warsaw. Italian architects designed an early Baroque royal residence. The previously existing buildings were incorporated into the new complex. 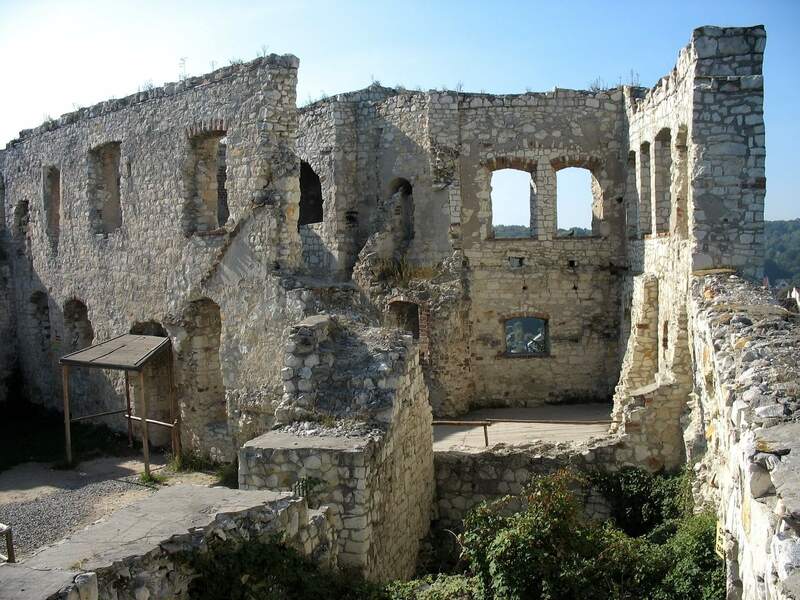 It was then rebuilt several times, and razed to the ground by Germans during World War II. The detailed reconstruction was only completed in 1983. The most precious interiors are the Ballroom and the Marble Chamber. Old Town Square – surrounded by buildings rebuilt after World War II, it is now about the most attractive place in Warsaw. Filled with outdoor cafe tables from early spring to late autumn. It is at the same time an open–air gallery of contemporary art. The surrounding streets are full of restaurants considered by gourmets to be the best in town. St. John’s cathedral, situated in Świętojańska, is worth visiting, especially since it witnessed many important events in Polish history, such as royal elections and the 3rd May Constitution Oaths. 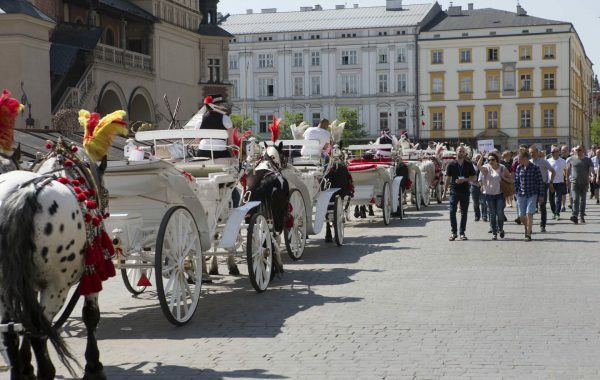 Royal Route – starts in the Old Town and goes along Krakówskie Przedmieście, Nowy Świat and Ujazdowskie Avenue. The most interesting and valuable buildings are in Krakówskie Przedmieście – university buildings and churches. Nowy Świat attracts visitors with cafes and elegant shops. Ujazdowskie Avenue is the most presentable street in Warsaw, with its parks and aristocratic palaces surrounded by gardens. The majority of embassies are located in these palaces. 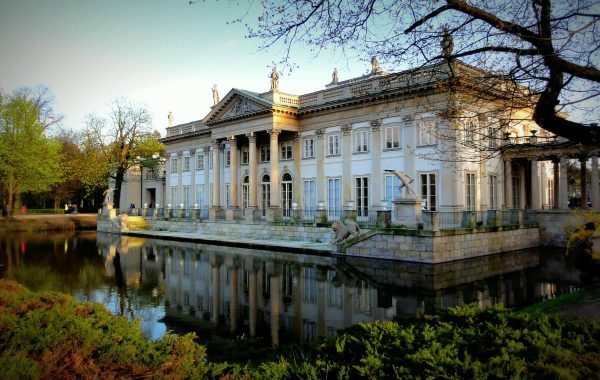 Łazienki Królewskie – it is part of the complex consisting of the Royal baths, palaces and park. The Palace on the Water and the Theatre on the Island are most enchanting. 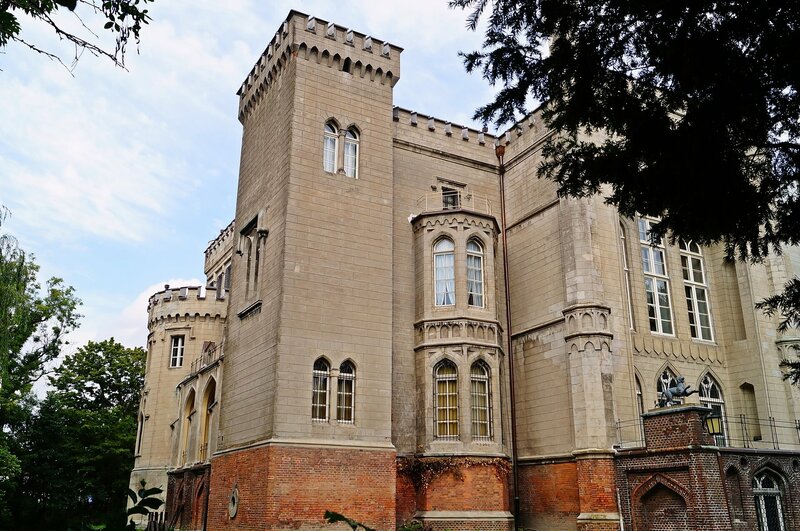 The first being the summer residence of the last Polish king, Stanisław Poniatowski, who had the old baths turned into a palace. The theatre situated on an artificial island in the middle of the lake is decorated as an antique temple of Baalbek. On the edge of Łazienki Park, one can see Chopin’s monument surrounded by most magnificent roses. 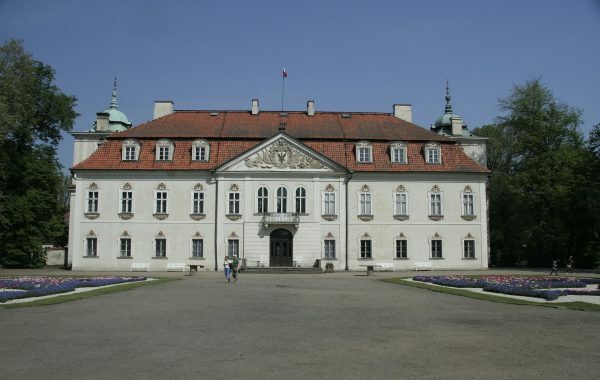 Wilanów – another of Warsaw’s royal complex. 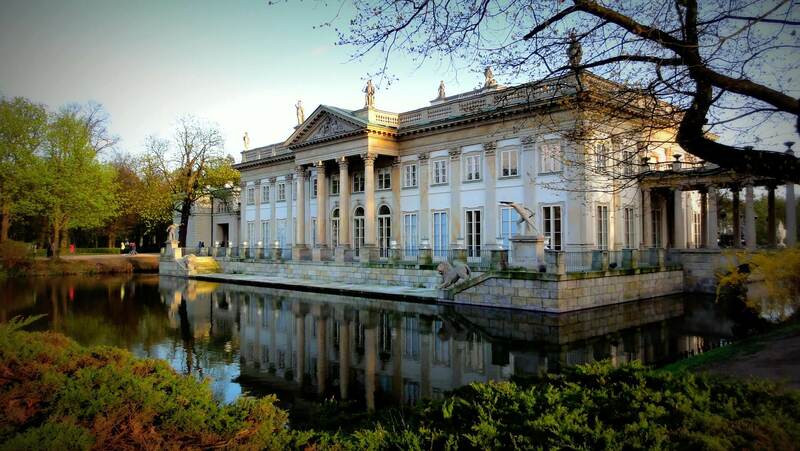 The palace was built as a small Versailles as the residence of king Jan III Sobieski in the 17th century. 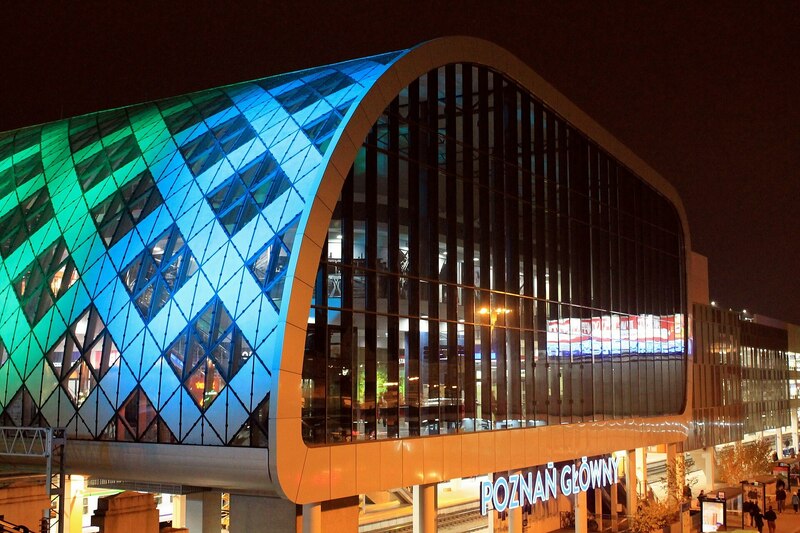 The architecture of the entre-court et maison is the only one of its kind in Poland. The interior is arranged as a museum. One can see the Gallery of Polish Portraits, the Great Purple Chamber (dining room), the Etrusque Cabinet and private royal rooms. Around the house is a park designed in a variety of styles. Żelazowa Wola – a romantic country manor housing the Chopin museum, and the place where this world famous composer was born in 1810. The rooms look as it did in Chopin’s time – one can see family portraits, copies of notes and documents, and of course a piano – one of the instruments that Chopin played. One of the most affecting experiences is the concerts held in this manor. To sit in the garden and listen to music played by the best performers is truly moving. Łowicz – Arkadia – Nieborów – Western Mazowsze is a region of beautiful nature, folk art, country manors, old churches and museums. Łowicz is known thanks to its local art. A museum full of typical costumes from the 19th and 20th centuries, paper cuttings and embroidery. In the museum garden, there are two fully equipped and decorated old country houses. On the way to Nieborów, one should stop in Arkadia, a sentimental, romantic park arranged by the owner of the area – Countess Radziwiłł. 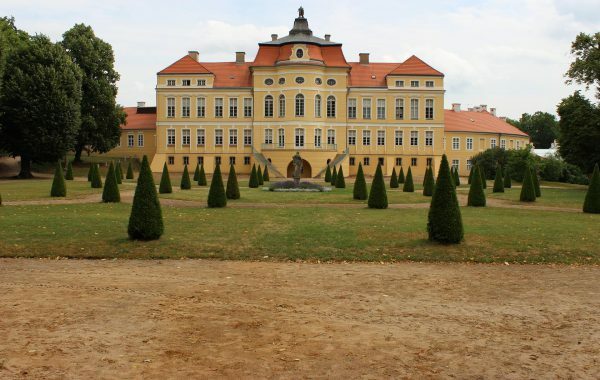 Nieborów used to be the residence of this aristocratic family; one of the most powerful in Poland. The symbol of this residence is the head of Niobe, Greek goddess, carved in white marble in the 4th century BC. Treblinka – Germans opened this penal camp in 1941, which was transformed into an extermination camp a year later. Around 800,000 people, most of them Jewish, lost their lives here. The camp was demolished by the Germans during the war, and only the memorial commemorates the victims. 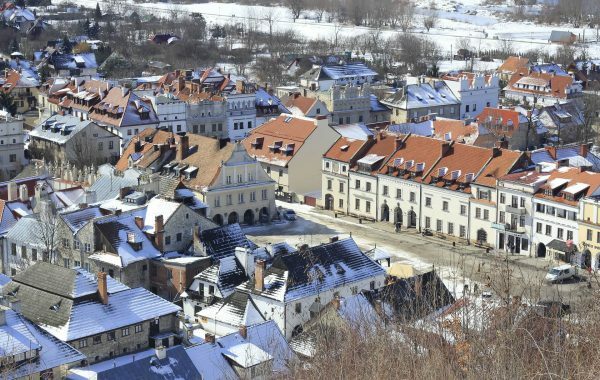 Kazimierz Dolny – an extremely charming small town made famous by writers and painters who spend holidays and weekends here, both before the war and nowadays. The ruins of a Gothic castle tower over the town situated on the bank of the Wisła. At the foot of the castle, the Renaissance parish church stands next to the town square. The buildings surrounding it have magnificent, richly decorated facades. Gdansk is a very unique town. Other cities may merely aspire to match this exceptional place. 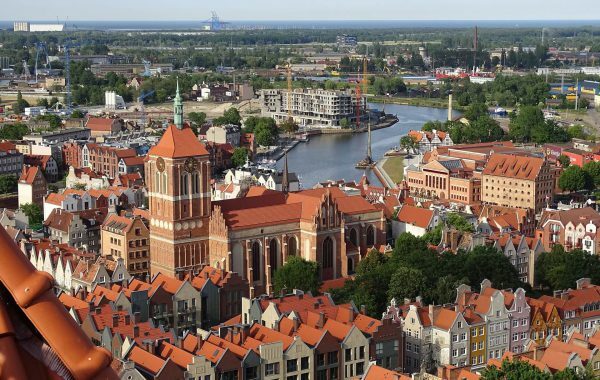 Its special location and over a thousand years’ history shaped Gdansk’s distinctive character and give it an implicit and particular recognition among European cities. The city holds its own mystique and its own abundance of mysteries. 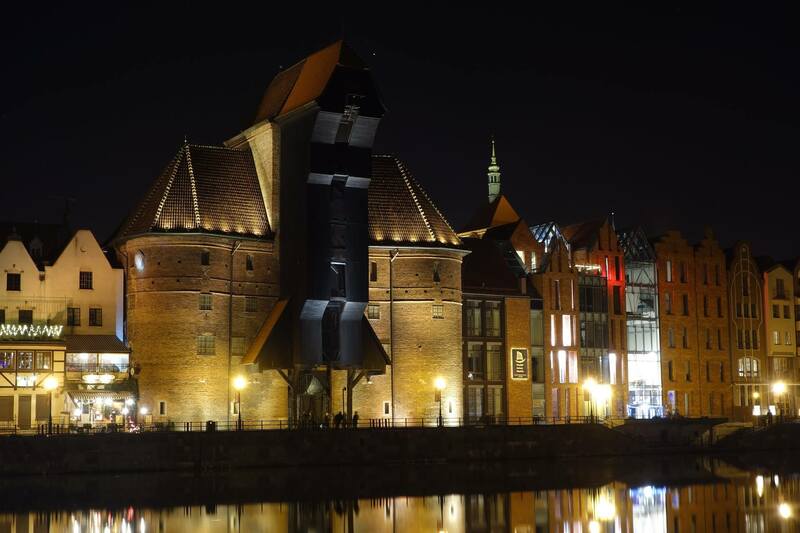 The spirit of Gdansk makes it impossible to be mistaken for any other place. Gdansk is synonymous with freedom. Its courage, youthfulness, but first of all its love of freedom is what people of Gdansk have valued and continue to value the most. Its unique “genius loci” has shaped the city and eventually turned it into a symbol city. This is prevalent not only amongst the Old Town’s patrician houses but also amid the Young City’s shipyard cranes. 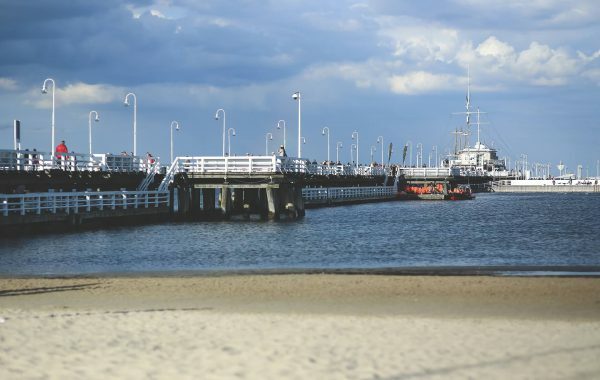 On beautiful sandy beaches, in its parks, and even in the post-industrial halls and tunnels. Freedom is omnipresent in Gdansk. It is almost tangible and it is the source of inspiration that transformed its people and space. This modern metropolis is a contemporary thriving centre of science, art, culture, sports and entertainment. The world’s capital city of amber, it attracts visitors from all over. Gdansk’s pride, the famous Stadion Energa, was in the spotlight when Gdansk was one of the host-cities of UEFA EURO. It comes as no surprise, as it is breath taking. Gdansk inspires and provokes modern art. It stimulates fashion designers’ creativity, inspires artists and architects. It attracts new and progressive economic thoughts and trends. These attract thousands of business tourists who find that this city is also a thriving conference venue. 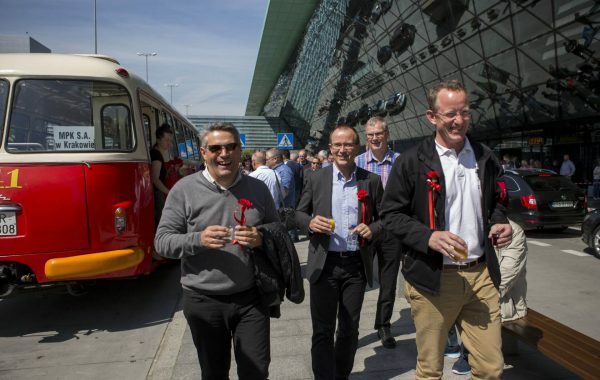 The new investments such as Lech Walesa Airport, AmberExpo Exhibition and Convention Centre and numerous modern and traditional hotels accommodate all expectations. 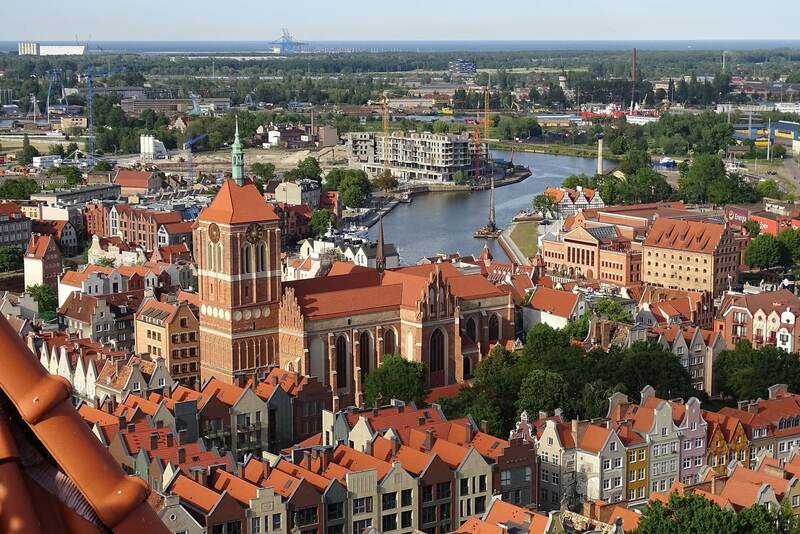 Gdansk is the hot spot for the cutting-edge technological innovations, where conference and business meeting participants can make use of the GCBeVENT. This event application is one of Poland’s pioneering solutions and is available for the 4 operating systems – iOS, Android, Windows Phone and Blackberry. The GCBeVENT application being free of charge, will compliment any event, conferences, thought trainings, city games, or convention and make any event offer more attractive. It will also make the organization of any business gathering more efficient and more productive. 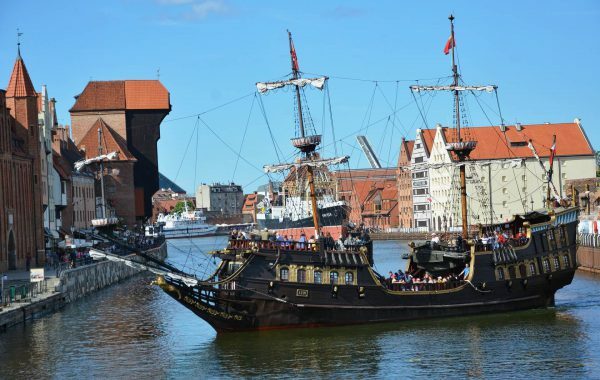 Gdansk, is full of buzz and enchantment, and as a recommended destination was listed as one of the top ten must-see tourist hits in the world by the renowned British guidebook publisher – Dorling Kindersley Eyewitness Travel. 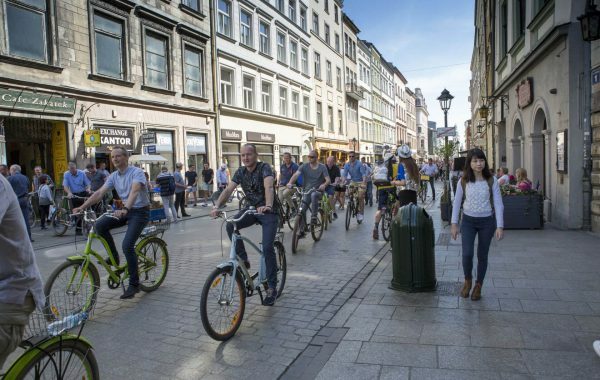 By the same token The New York Times have listed Gdansk as being one of the world’s forty tourist-friendly cities worthy of a visit. Długi Targ – Gdańsk’s most beautiful street. Enchanting with its coloured house facades reconstructed after war damage – the centre was levelled. This street used to be the wealthiest, and witnessed the most important events in the city’s history. All-powerful secular edifices stand there, the city hall and Artus’ Hall (Guildhall). In both of them, there are exhibitions, and there are many exhibits, including a 16th-century tiled stove. 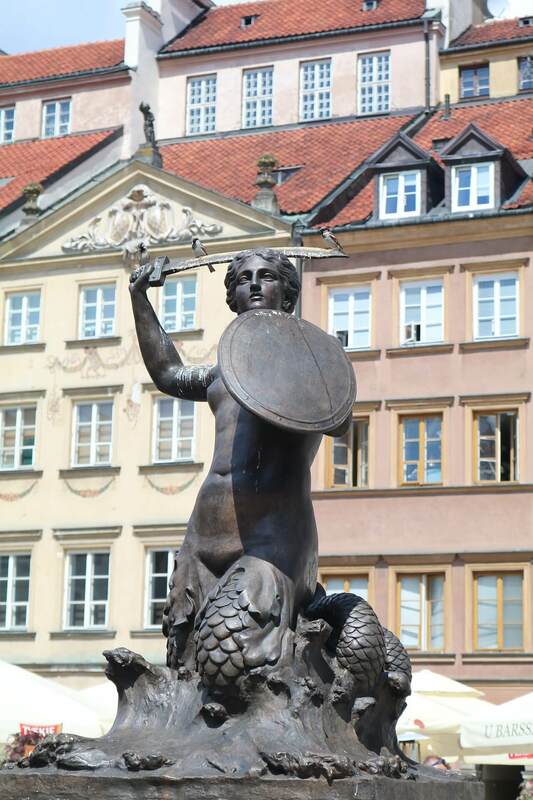 In the middle of the street, in front of Artus Hall, stands the symbol of Gdańsk, the 17th-century fountain of Neptune. Mariacka Street – on one side closed by the medieval Mariacka Gate and on the other by the Mariacki (Our Lady) Church. It is the best example of typical local architecture. All of the richly decorated houses used to have a step that jutted out several feet into the street. Numerous jewellery galleries have their shops there, all of which, of course, sell amber. The Mariacki Church is actually the biggest brickbuilt mediaeval church in Europe. When inside, one should note the Tablet of the Ten Commandments, the Charity Table and the astronomical clock. Oliwa Cathedral – the district of Oliwa is famous for its Gothic Cistercian monastery, which was originally built in the 13th century. The architecture of the cathedral is almost intact, but the interior decoration is Baroque. The Cathedral’s 18th-century organ is one of the best in Poland. One can listen and watch several parts of it moving during concerts. In the monastery houses, there is theDiocesan Museum of ethnography and modern art. The whole complex is located in the middle of a beautiful and spacious park. 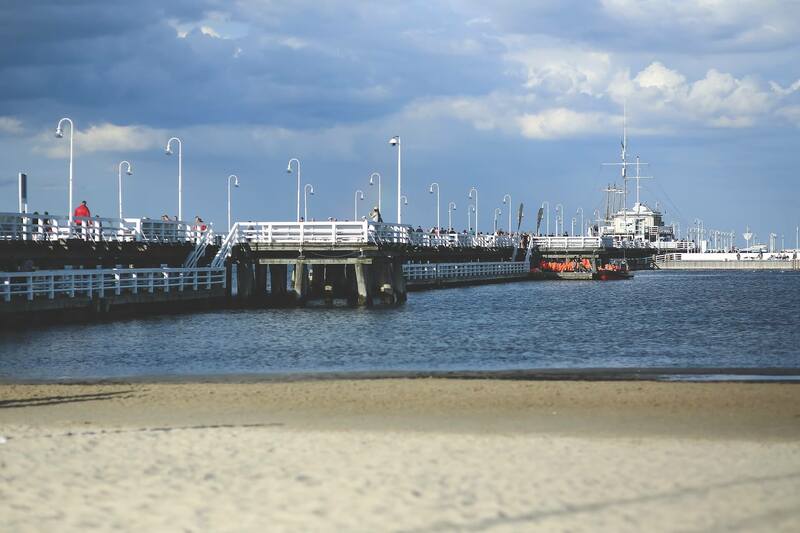 Westerplatte – this is where the first shots of the World War II were fired by the German warship Schleswig-Holstein. The defence of Westerplatte became a symbol of heroic resistance against the German invaders. 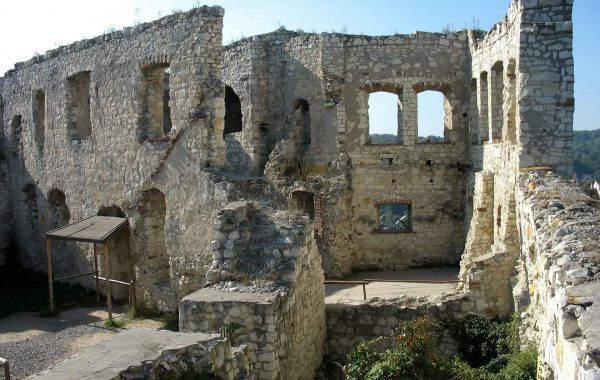 The only traces of this battle are the ruins of the guardroom and a few bunkers, and a huge and impressive memorial overlooking the whole area. The ECS is a state-of-the-art cultural institution that honours our greatest civic success—the victorious Solidarity movement. 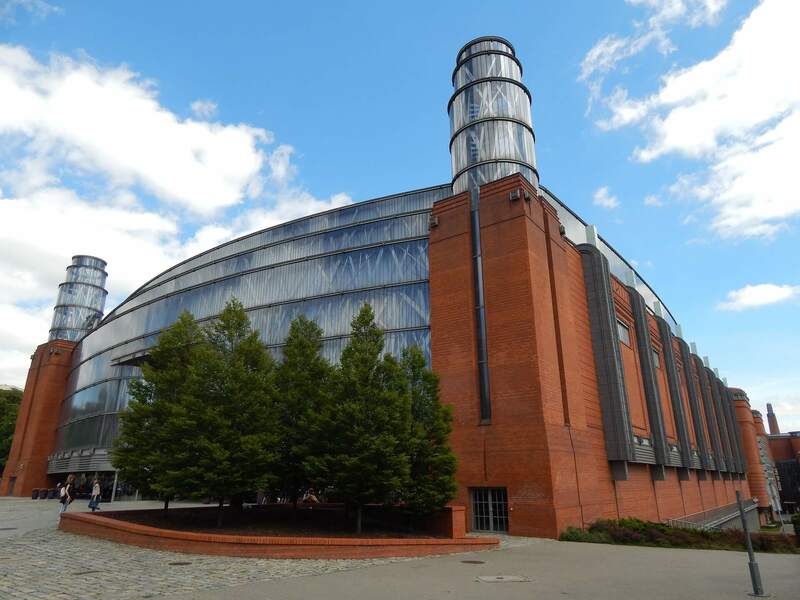 It is a museum that commemorates the revolution of Solidarity and the fall of communism in Europe, but it is also an educational, research and academic centre, an archive, library and multimedia library. 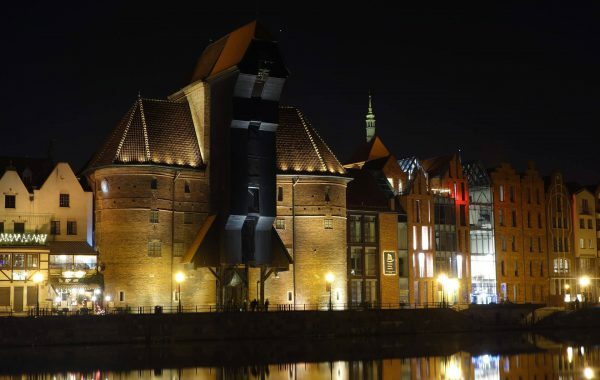 The Museum of the Second World War in Gdańsk: appropriate for a place where the starting gun of the war was fired when the Germans attacked the city on 1 September 1939. 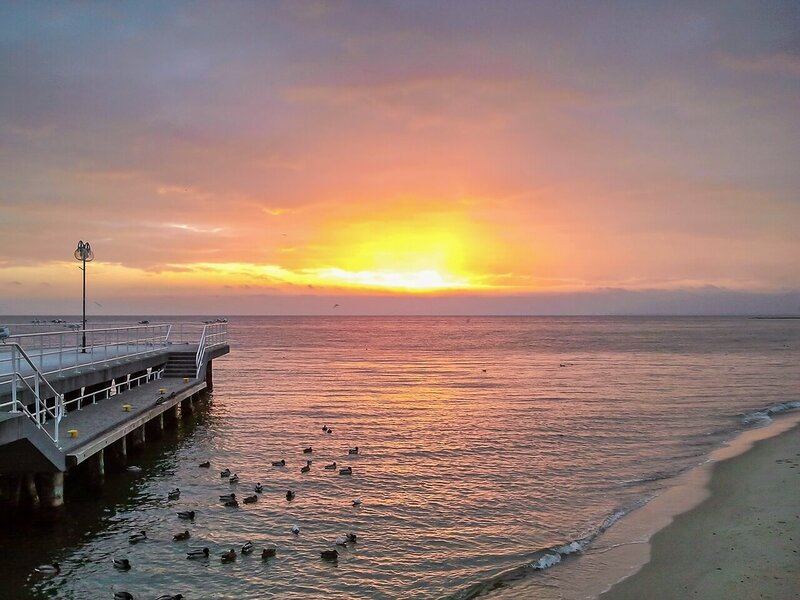 Sopot – the most popular coastal spa. Its career began in 1824, when the first baths were built. One can walk the pier that goes far into the sea, sit on a bench along the pier (actually the longest bench in Europe) or walk the Heroes of Monte Cassino Street, with its elegant shops and people showing off their latest outfits. It would be difficult to choose which restaurant to sit and eat in, there is such a wide selection. Szwajcaria Kaszubska – a region with extremely picturesque landscapes and rich folk traditions. In the Kaszuby Museum, one can see original embroidery, toys and snuffboxes made of ivory. In Chmielno, one should visit the pottery workshops, where you can see the production process and buy souvenirs. In Wdzydze Kiszewskie, it is a must to go to the open-air museum to see houses, a windmill, an inn, a school and a church. It is also worth going for a cruise of the local water – Wdzydze Lake. 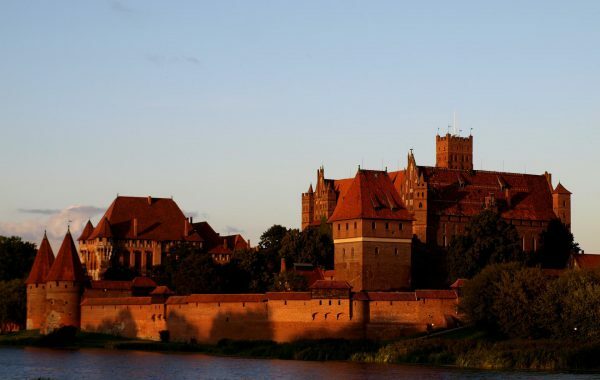 Malbork – Teutonic Castles – it was in the 13th century that the Teutonic knights built huge Gothic fortresses that we can still see. 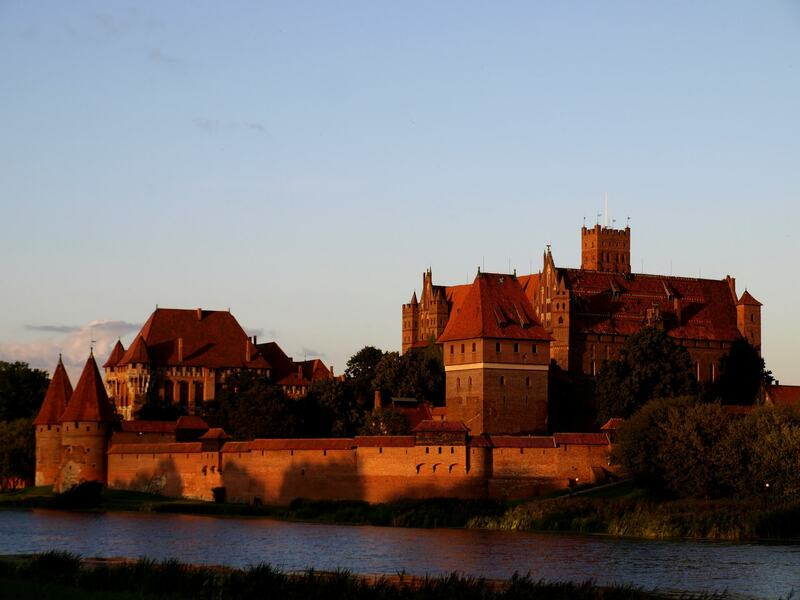 The most impressive and extensive is the castle in Malbork, which was the capital of Teutonic Order State at that time. 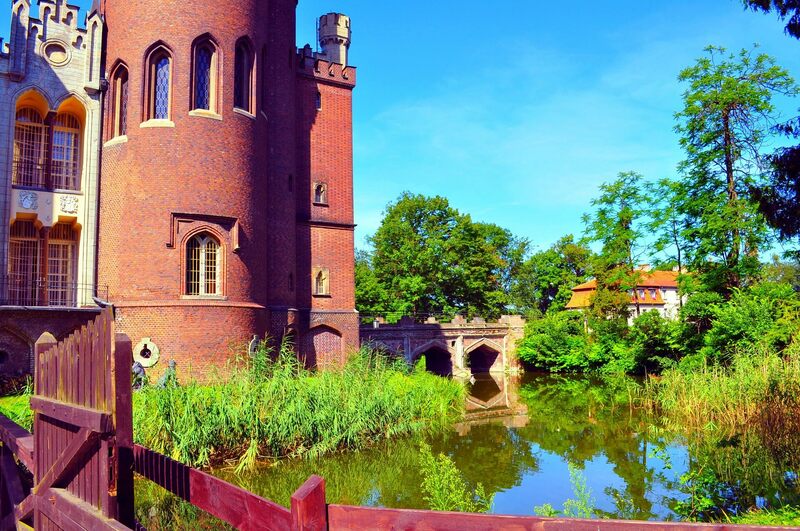 Malbork castle is the biggest Gothic brick stronghold in Europe. It covers almost 80 acres. 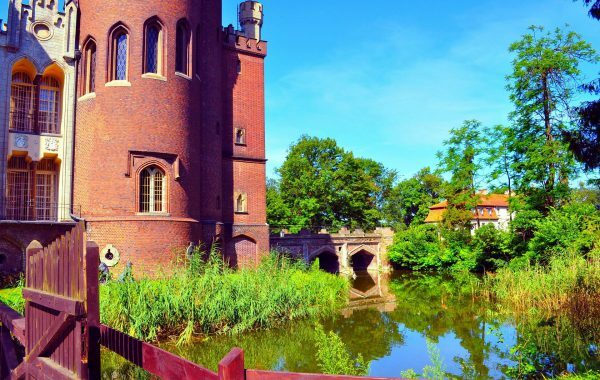 You should visit the Great Master’s Palace, the High and Medium Castle with their collection of historical military objects, and you must not forget the excellent collection of amber. Wrocław is the largest metropolis in western Poland. Situated on the banks of Odra River in the Lower Silesian, about 350 kilometres from the shores of the Baltic Sea to the north and 40 kilometres from the slopes of the Sudety Mountains to the south. 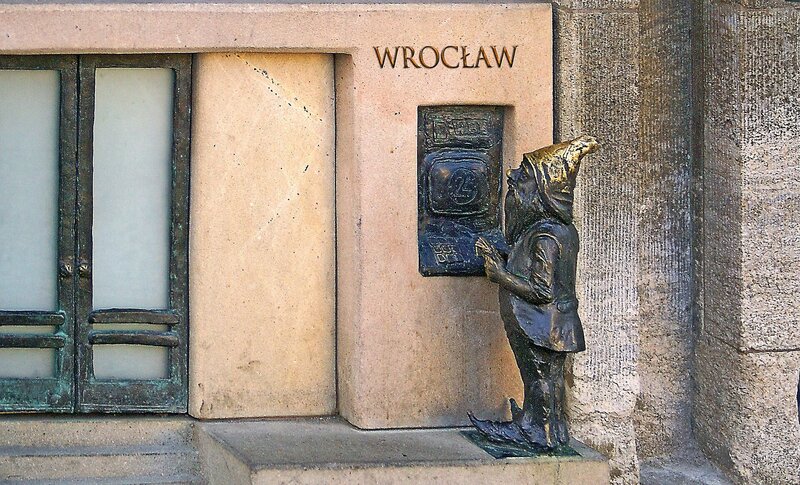 Wrocław is the main city of the Silesia and Lower Silesia and a historical capital of the region. 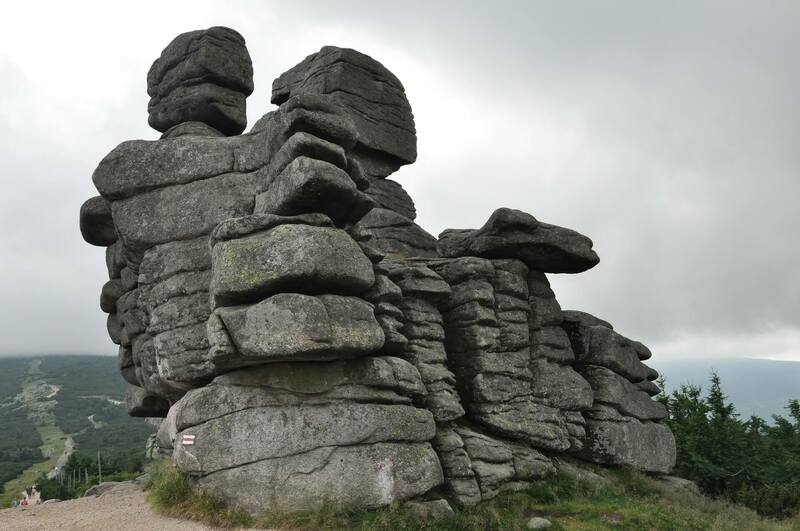 Located close to the German and Czech borders, it can be admired for its beauty and its unique character enhanced by its surroundings. The fourth largest city in Poland, Wrocław cumulates over 634,000 inhabitants. The GaWC ranking classified it as a Global city with the high sufficiency in 2014. 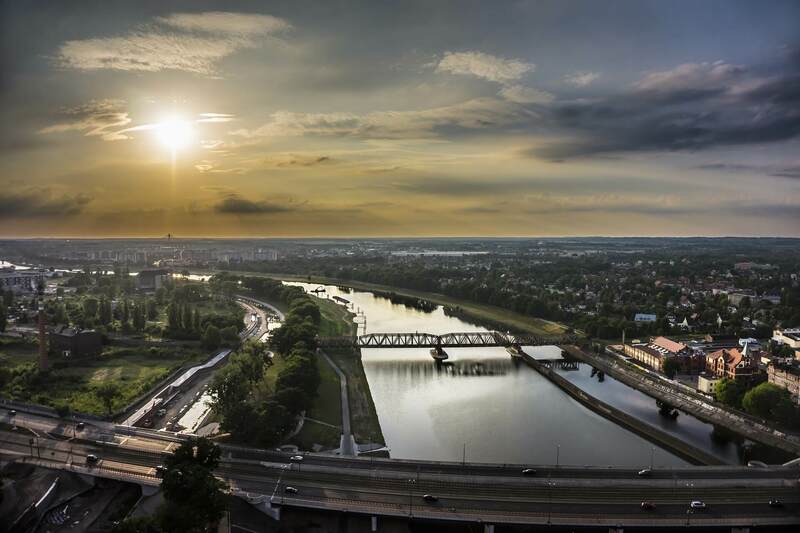 Mercer consulting ranked Wrocław as “The best city to live in” naming it as a city with growing business in 2015. 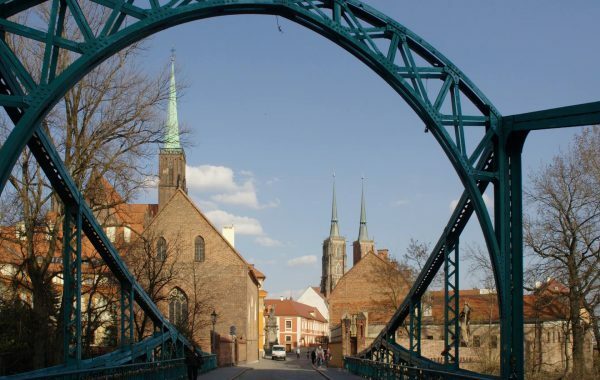 The British newspaper “The Guardian” named Wroclaw in it’s top ten places to visit. 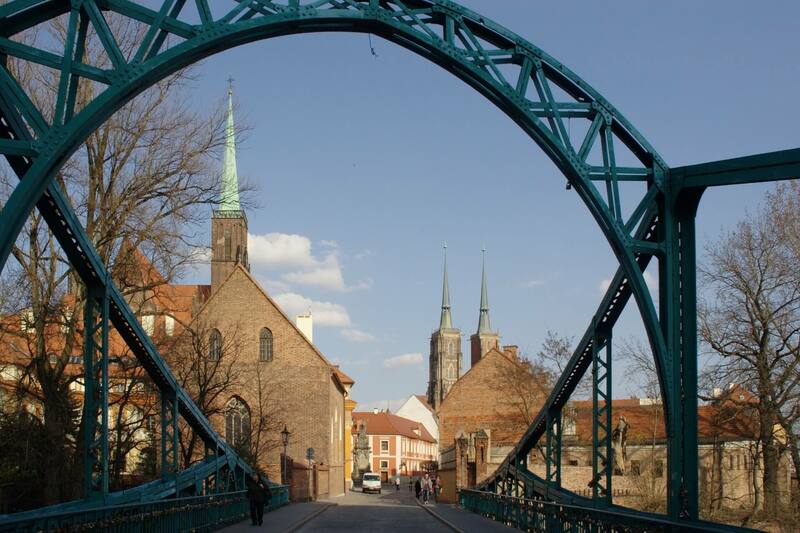 Wroclaw is an important caldron of political, economical, scientific, and cultural life in Poland. At various times of its colourful history the city has been a part of the Kingdom of Poland, Bohemia, Hungary, the Austrian Empire, Prussia and Germany. The wars and battles had been fought for the supremacy over the city. It became part of Poland in 1945, as a result of the border changes after the Second World War. 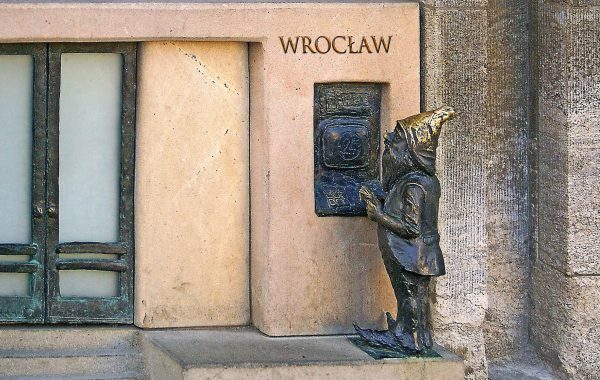 These titles and events acknowledge the long-term cultural strategy of Wroclaw’s patricians. The European Capitals of Culture stands out as one of the European Union’s must recognised cultural initiatives. The primary objective of the title is to underline and enhance the richness, individuality and diversity of European cultures all over the Union whilst celebrating their national multiplicity, encouraging a sense of belonging to the European family. 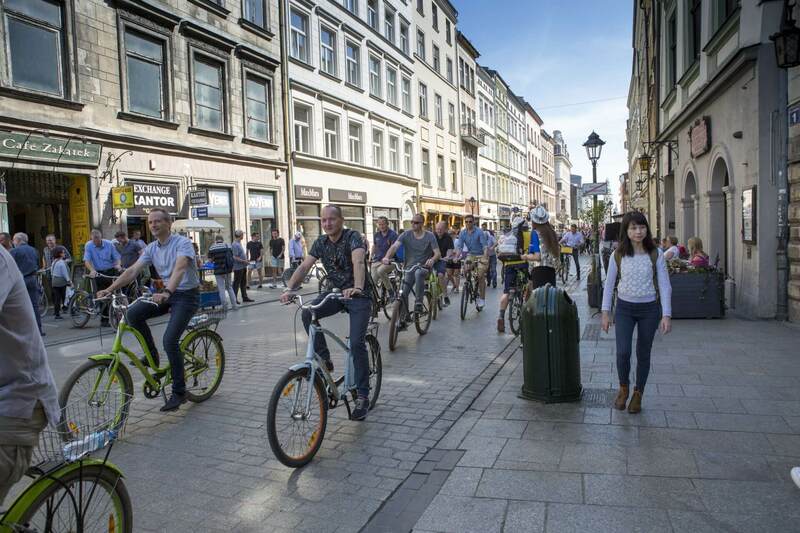 Over the years these events have supported a multitude of cities offering social and economic benefits that have increasingly become recognised and appreciated. Wroclaw’s yearly cultural calendar is dotted with a number of different musical and theatrical events and festivals. The most renown are “Vratislavia Cantans” festival, the “Jazz on the Oder” festival, Wroclaw Non Stop, The Meeting of One-Actor Theatre and Small Theatrical Forms festival, and the International Dialogue Theatre Festival. It is here in Wroclaw, where avant-garde theatrical projects such as the Pantomima of Henryk Tomaszewski or the Laboratories Theatre of Jerzy Grotowski are presented. The movers and shakers of the world’s theatre scene attend them. 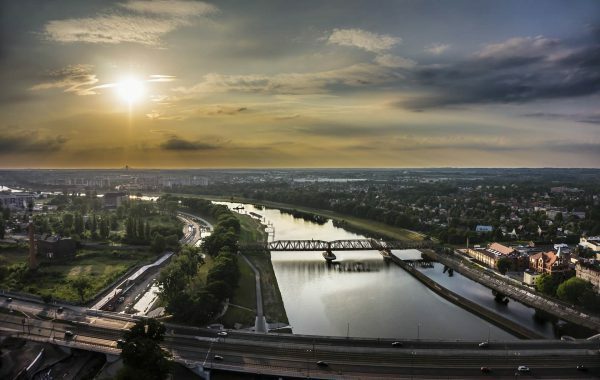 A high density of higher education institutions of which the University and the Polytechnic Institute are most important, makes Wroclaw an important scientific hotspot. 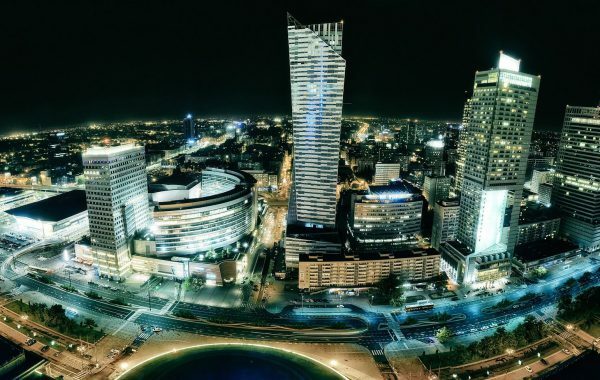 The recognition of this potential and the appreciation of Wroclaw’s rapid economic development, prompted companies such as Siemens, LG Phillips, Volvo, Hewlett Packard, Whirpool, Cadbury, Macro Cash & Carry, Castorama, ProLogis, Cargill, Google, UPS, Credit Suisse and in the neighbourhood Toyota and Bosch to invest here and establish a strong footprint in Wroclaw. Ostrów Tumski – an island on the Odra River, and the oldest part of the city. Detached from the urban noise, the elegant Ostrów Tumski is lit by stylish gaslights, and the church facades are beautifully illuminated. 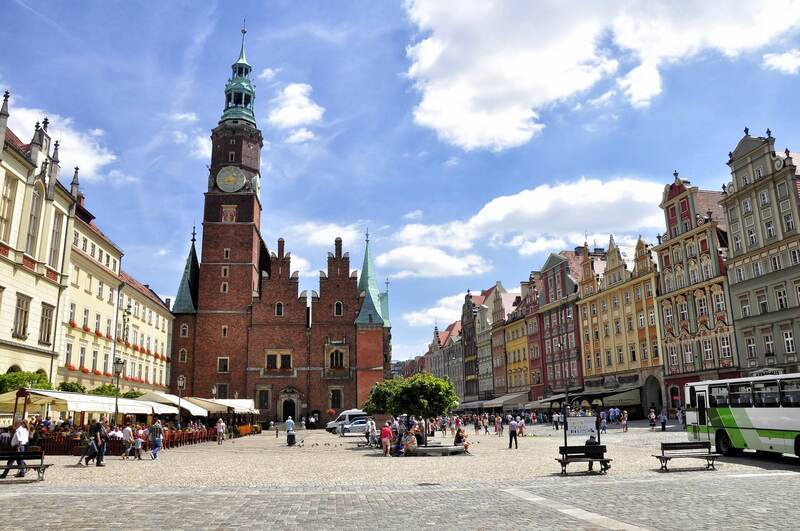 Wrocław’s Old Town enchants everyone. In the centre of the square (one of the biggest in Europe) is the pearl of Śląsk Gothic – the Town Hall. In the cellars of the Town Hall is the famous Świdnicka Cellar, where the well-known świdnickie beer is served. Panorama Racławicka – a huge painting 360 feet long and 45 feet high, which shows the victorious battle between uprisers led by Kościuszko and the Russian army, fought on the 4th April 1794 in Racławice. Aula Leopoldina – located on the first floor of Wrocław University. 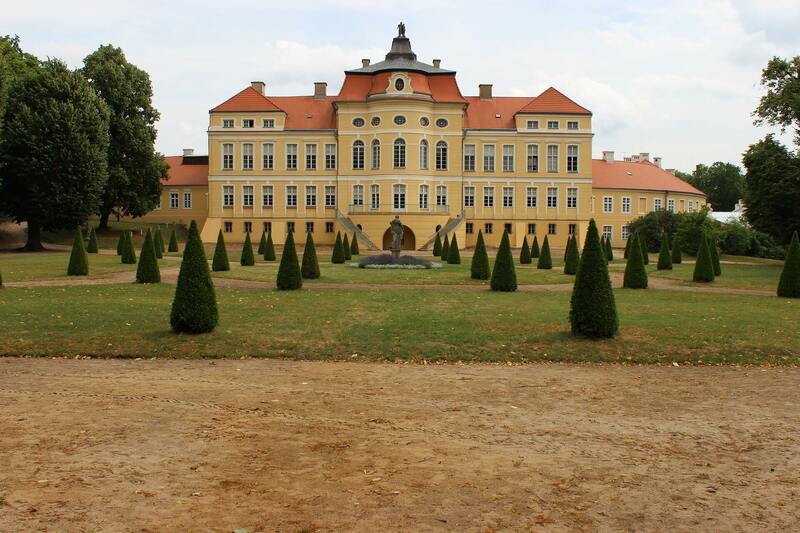 This edifice was founded by emperor Leopold I. Spectacular, covered with colourful paintings and gilding and full of sculptures, the hall is a pearl of Baroque. The largest fountain in Poland and one of the largest in Europe. It is situated in the picturesque landscape of Szczytnicki Park, next to the Centennial Hall complex and Wrocław Congress Center, and attracts interest of domestic and foreign tourists. It covers the surface of nearly 1 hectare, and 800 lights and 300 water jets have been arranged in its bed. Water show is synchronized with music, which creates amazing artistic impression. During winter, the fountain’s basin is used as an ice-rink covering approximately 230m2. Japanese Garden – a living memory of the World Exhibition held in Szczytnicki Park in 1913. It was arranged by a Japanese gardener and fulfilled all of the requirements of the Japanese art of gardening and was considered one of the outstanding exhibits. The city authorities decided to revive the garden and invited nine Japanese specialists to do it. In this way the garden has recovered its mystical meaning and all of the necessary details. Centennial Hall is a unique venue on the map of Poland, where history harmoniously interacts with modernity. It was designed by Max Berg, an outstanding city architect, and recognized as one of the top masterpieces of the 20th century architecture. Multi-purpose space, unusual structure, unique and spacious location represent just a few of its strengths. 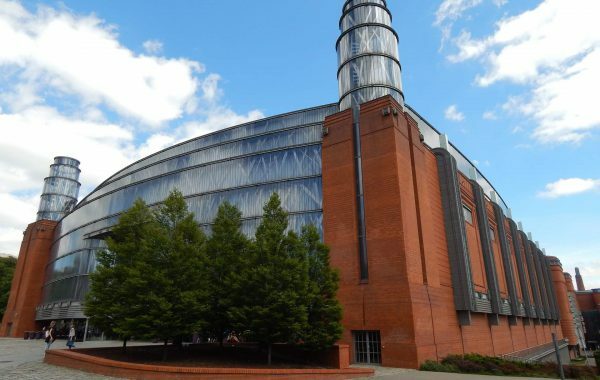 Centennial Hall complex currently is one of the most desired venues among domestic and foreign organizers of major exhibitions, conferences, cultural, sport and congress events. The Hall’s inscription on UNESCO World Heritage List in 2006 emphasized the rank of this facility. 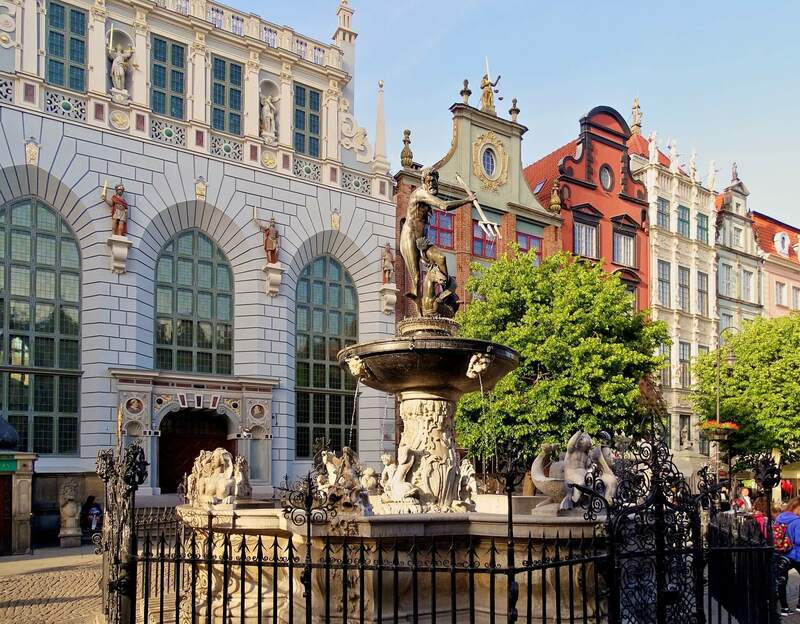 Undoubtedly it is one of the most characteristic flagships of Wrocław in the international scale, and exceptionally magic site in the city where the charts of history record its multi-generational experience. Książ – the biggest castle in the area. Once called the clavis ad Silesian, the key to Silesia, since it was the main fortress on the route to Silesia. The castle towers over the whole area. On three sides, it is surrounded by the river, and by an old park of rhododendron and flowered terraces. On one of them – the Water terrace, there are 27 fountains. Kłodzko Land – the major city of Kłodzko Valley, situated on a trade route from the south to Silesia. An 18th-century fortress towers over the city, and under the old town one can visit half a mile of corridors. One should also visit the gothic 14th-century bridge, which is a copy of the Charles Bridge in Prague. 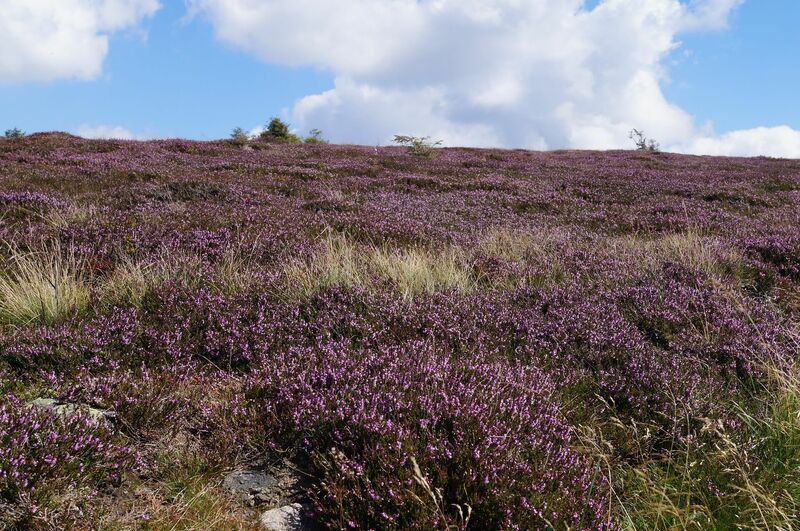 The climate and landscapes of Kłodzko Land make it popular as a land of health and peace. Most of Lower Silesian spas are situated there: Kudowa Zdrój where there is a beautiful park, and Duszniki Zdrój (Zdrój meaning a spa) which has a picturesque town square and parish church with a pulpit carved in the shape of a whale. Frederick Chopin was treated here in 1826 and therefore in August every year Festivals of Chopin’s music take place in Duszniki. 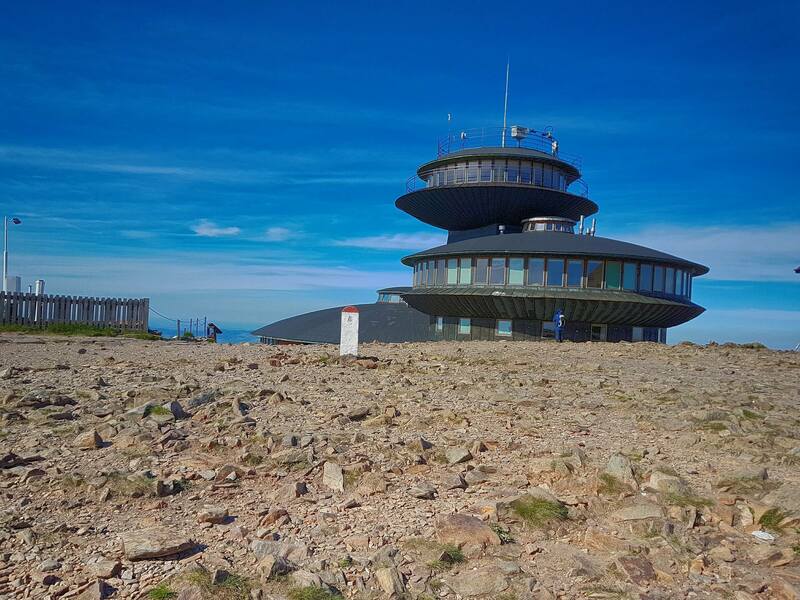 Karkonosze – the highest and most beautiful mountains in the area. 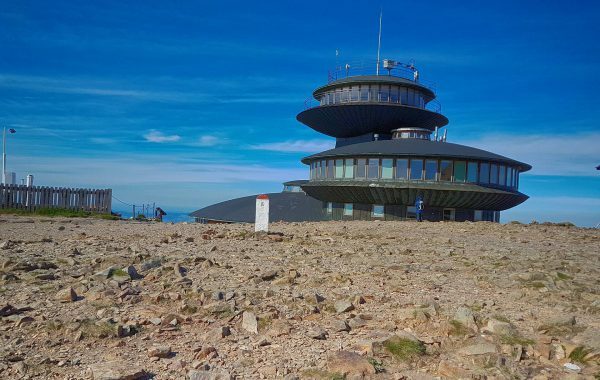 Karpacz and Szklarska Poręba are the two most popular tourist towns in these mountains, and the best starting points to the mountains. The waterfall of Kamieńczyk in Szklarska Poręba is one the major attractions of the Karkonosze. It falls into a 100-foot deep canyon, cascading down on three terraces at a height of 90 feet. In the middle terrace, there is the so-called Golden Den, covered by the waterfall, and made by gold seekers in the Middle Ages. 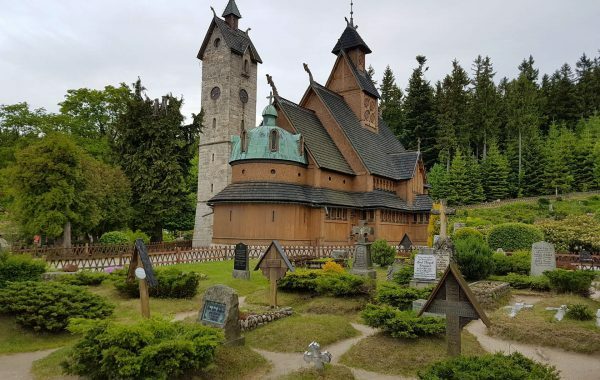 Close to Karpacz, there is a wooden church, “Wang”, built in Norway in the 13th century and moved to Karpacz in the 19th. Poznań – the cradle of the Polish state. 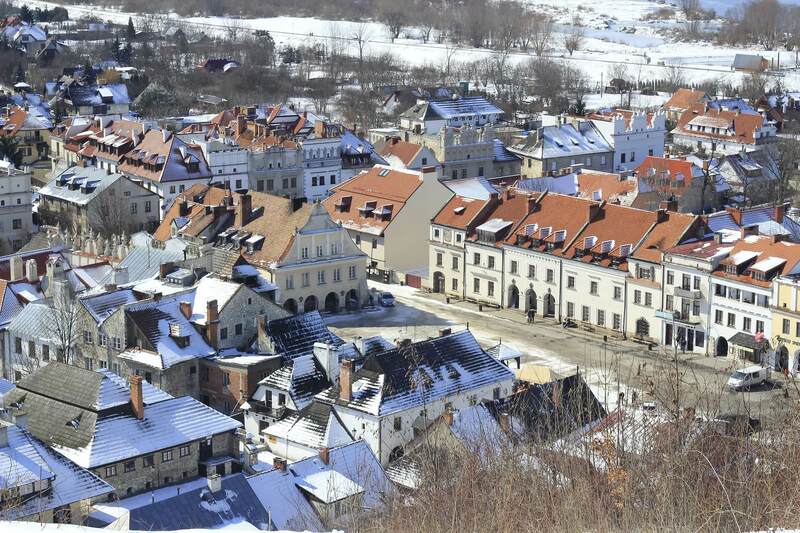 The first Polan settlements were established in the 10th century and became the capital of the new state. From 968, it was the site of the first bishopric in Poland. 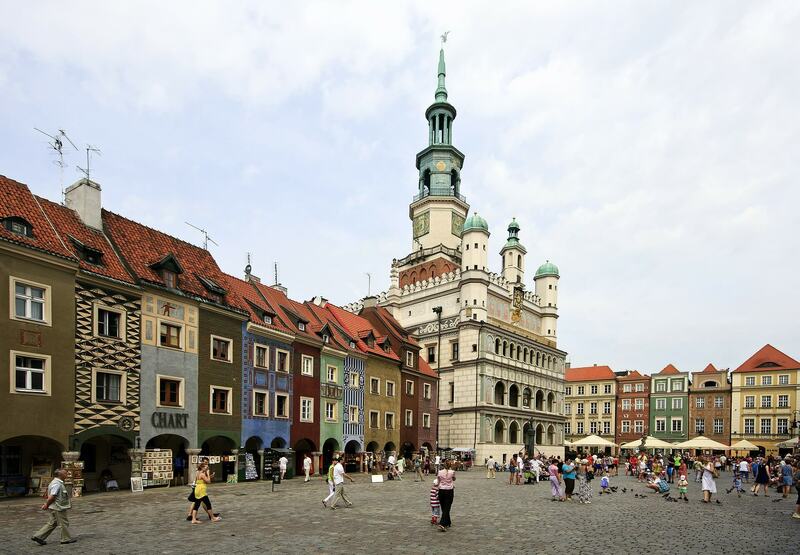 The city is the place where Piast Route starts, which links sites connected with the beginnings of Christianity in Poland. There are many historical monuments in Poznań – the cathedral and the Old Town should not be missed. 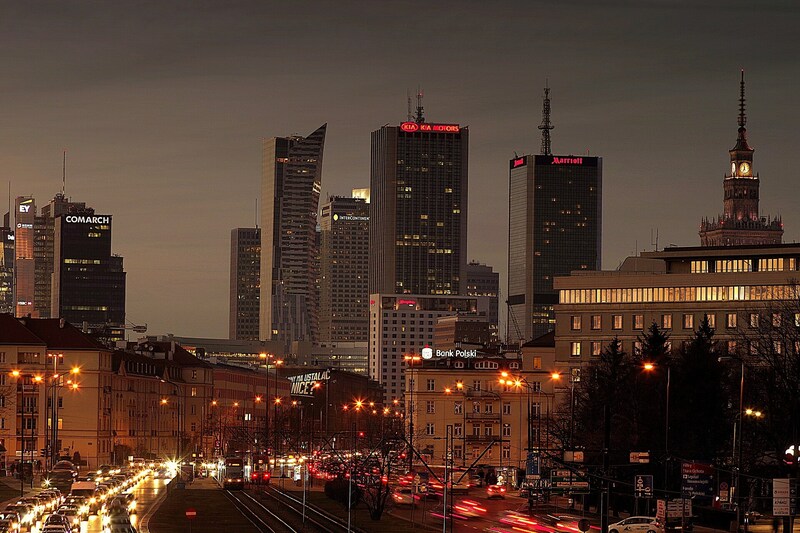 Contemporary Poznań is Poland’s second, after Warsaw, banking and trade centre. International fairs have been organised since 1925, gathering producers and merchants from all over the world. 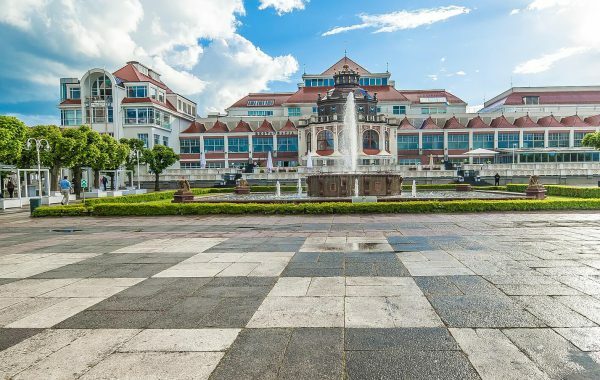 Old Town Square – the heart of the town and a favourite gathering place. The square is surrounded by colourful houses and palaces. In the middle, there is the Town Hall, one of the most beautiful Renaissance town halls in Europe. It is decorated with three levels of cloisters and a parapet. The major attractions of this edifice are the famous Poznań goats, appearing in one of the arches every day at noon. The Town Hall also houses the Museum of the History of Poznań. Ostrów Tumski – a former settlement located in the fork of two rivers, it was, from its inception, one of the major towns subordinated to the Piasts. It was the Duke’s administrative, economic, military and sacral centre of high importance. The well-fortified Ostrów Tumski, with its strong walls, was one of the vital elements of the Polish defence system. The Gniezno Meeting, in the year 1000, made it also the site of a bishopric, the see being located in the cathedral, where members of the oldest Polish aristocratic families are buried, some of the memorials dating back to the 16th century. The first two Polish kings are buried in the Golden Chapel in the presbytery. The oldest parts of the building are to be seen underground. Kórnik – situated on an island in a small lake, it was built in English Gothic style in the 19th century and is surrounded by a huge park. Kórnik’s arboretum is full of unique species of trees and is the most beautiful in the country. 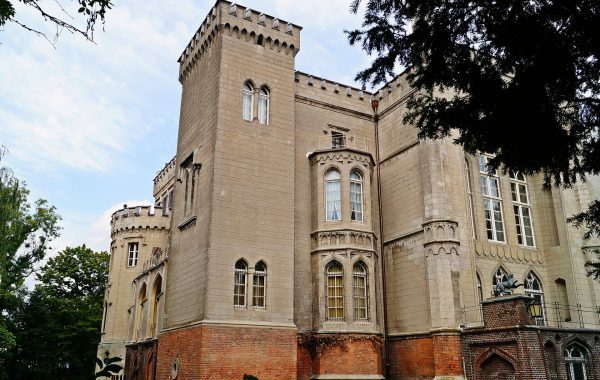 The castle has been owned by Zamojski family, who are very dedicated to the country and its welfare. The castle now appears as a typical private residence, and has an extensive art gallery.